Using the arrow buttons, you can cycle through numbers 0 to 7. Once you have the correct time zone, press SET to confirm your selection. 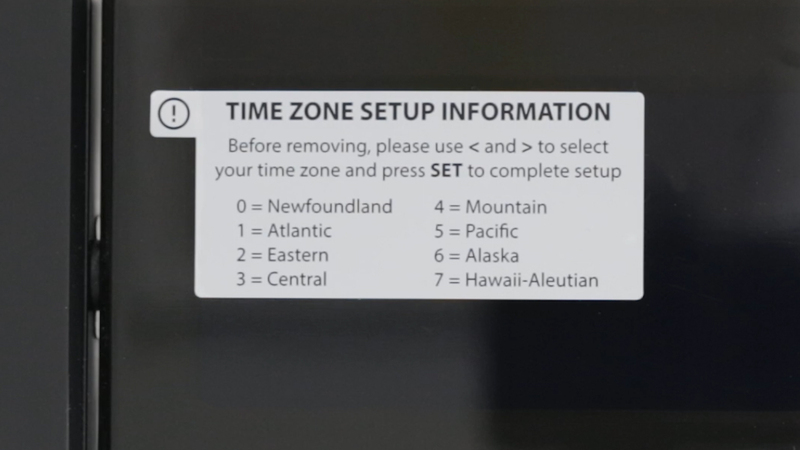 You may also change your time zone by pressing and holding the Timezone button on the back of your clock.